As the situation in France becomes more tenuous, many French Jews are making aliyah (immigration to Israel) a priority, and the Greater Miami Jewish Federation, in partnership with The Jewish Agency for Israel, is helping them make the move. 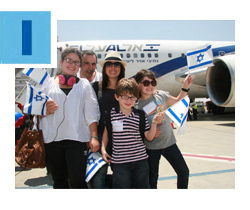 This week, more than 200 French immigrants arrived safely aboard the largest aliyah flight from France this summer. Since 2000, almost 10 percent of the French Jewish community has immigrated to Israel, half of them in past five years alone. Read more. 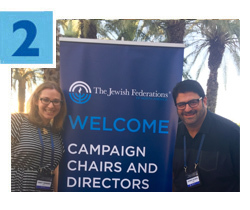 “I was amazed to see the cutting-edge nature of our programs,” said Federation General Campaign Chair Jeffrey Scheck, who recently returned from The Jewish Federations of North America’s Campaign Chairs and Directors Mission to Paris and Israel. “I am so proud of the work we do: helping Arab/Israeli relationships; job assistance for the unemployed; helping 30,000 olim make aliyah; micro loans; women’s issues; food co-ops, and more.” Accompanied by Annual Campaign Director Abbey Feinberg and peers from other communities, they saw firsthand how Federation funds are helping to support and strengthen the Jewish community abroad. Read more. Aspiring dentist Jessica Schlaen, 17, recently shared her passion for good oral health by distributing teeth-cleaning supplies and teaching the importance of proper brushing to children in Miami’s partnership city of Yerucham, Israel. Schlaen, who started an organization called Sparkly Smile, collected more than 800 toothbrushes, tubes of toothpaste and packages of dental floss from local dentists’ offices. 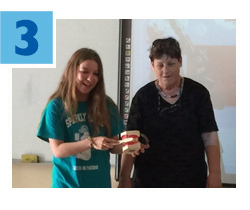 When her family visited Israel this summer, she brought along the items and her knowledge and enthusiasm to share with elementary school students and the Community Dental Clinic in Yerucham. Read more. Less than two years since its launch, Miami's Russian-Speaking PJ Library program has more than 300 subscribers from Northeast Dade’s Russian Jewish population. Like the original PJ Library program, participants ages 6 months through 8 years old receive free, monthly Jewish-themed books and music. Thanks to funding from the Genesis Philanthropy Group, they are also engaged in bilingual (English and Russian), culturally relevant family programming. Recent events have included a Passover BBQ in the park and Russian Shabbat dinners. 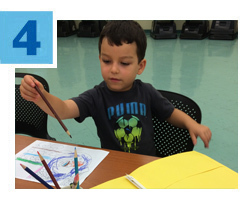 PJ Library in Miami is a gift from Federation made possible by the Harold Grinspoon Foundation and the Blank Family Foundation. To learn more, email lsvechin@gmjf.org. Through the Annual Federation/UJA Campaign, more than 2,100 campers and thousands of adults are enjoying activities all summer long at three local Jewish community centers. Recognizing that creating Jewish community and kinship is an integral experience for a strong Jewish future, Federation provides funding to the Michael-Ann Russell JCC, Dave & Mary Alper JCC and Miami Beach JCC, enabling them to give scholarships to nearly 600 campers this year alone. The JCCs are gathering places to connect, play and learn.